Millions of people have followed Dave's simple principles to take control of their money. You can too! I’m going to be a millionaire one day! Someday I’m going to live in that house. One day I’m going to travel the world! Monthly credit card payments are killing me! I’ll never get rid of my student loans. I’m worried I won’t have enough for retirement. Dave worked hard and became very successful. He discovered God’s and grandma's ways of handling money. Dave has helped millions of people get out of debt and control their money. Debt caused Dave to lose everything. Using God’s principles, he began helping others. Our focus on behavior change has led us to a different view of personal finance. We realize most folks know what to do with money but not how to do it. 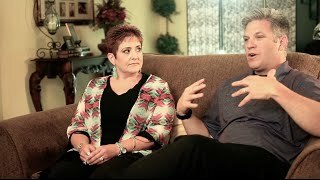 Millions have followed Dave’s Baby Steps out of debt and into a life of saving and giving. You can too! Sign up for the seven-part email series for a walk-through of how to get started on the plan. Dave’s on the air daily all across America. Watch or listen online to learn and get inspired from Dave himself. 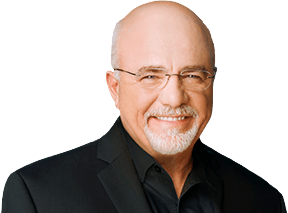 Dave’s all-time best-selling book lays out the simple steps that will help you take control of your money. 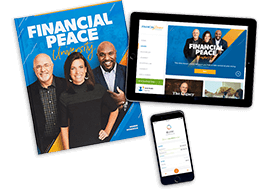 Almost 5 million people have learned how to beat debt, save money, and invest in their future with Financial Peace University. It's a plan that works—and now it's your turn!